So…you’re torn between TOUCHBeauty’s AS-0759A and AS-0525A. Which one of these models should you get? Here, we compare and contrast their features and specifications. In the end, we’ll give our recommendation as to which one should be on your countertop. 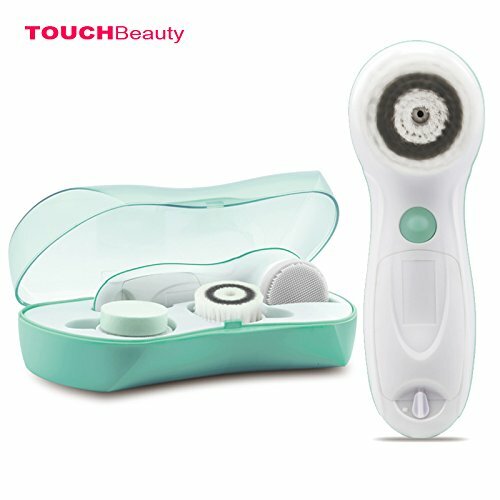 NOTE: We’ve reviewed these models separately, so if you want more to read, head over to our TOUCHBeauty AS-0759A review, and then to our TOUCHBeauty AS-0525A review next. 3 Which One to Get, AS-0759A or AS-0525A? There’s a lot of differences between the AS-0759A and the AS-0525A. In this section, we compare them side by side, aided by pictures. One of the obvious differences between the AS-0759A and the AS-0525A is their size and weight. Everything you see in a box of an AS-0525A is smaller, from the applicators up to the main unit. This is also true with the weight. As advertised, the AS-0525A weighs only 265 grams and the AS-0759A weighs 542 grams. Here are the approximate sizes of the facial brush and applicators of each model. Aside from the size, the applicators of these TOUCHBeauty facial brushes differ in number. The AS-0759A has only 3 applicators (a cleansing brush, a silicone head, and a foam head). The AS-0525A has 4 applicators (a cleansing brush, a silicone head, and 2 foam heads). About the Image: The first brush is the AS-0525A. The one in the bottom is the AS-0759A. As you already know, the AS-0525A is smaller in size. According to our measurement, its storage case has the following dimensions: 17 cm x 8 cm x 5.5 cm (L x W x H). On the other hand, the AS-0759A’s storage case has the following dimensions: 21.5 cm x 11.8 cm x 6.7 cm (L x W x H). The AS-0525A is not waterproof. The AS-0759A is. The AS-0525A comes with a cheap plastic exterior. The AS-0759A is also made of plastic, but it is more classy to look at. As far as durability is concerned, both of these models can break when dropped. Both models are equipped with two speed settings. The difference is the process of selection. The AS-0525A comes with a button that you can move up and down. Plus, the selections have their own label – “low,” “high,” and “off.” The AS-0759A on the other hand doesn’t those labels. To choose among those selections, press the button once for the low setting, twice for high, and thrice to turn the unit off. To summarize, here’s a chart comparing the features and specs of the two TOUCHBeauty facial brushes. Which One to Get, AS-0759A or AS-0525A? 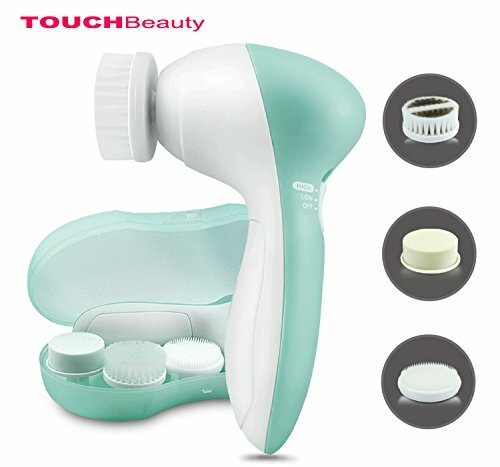 Hands down, our choice is the TOUCHBeauty AS-0759A facial brush. It’s water-resistant, it looks classier, it’s made of better plastic, and its size is just right. The applicators are not that small, but are in fact just the right size to cover all the areas of the face. Plus, we love that it’s travel-friendly.